Jamie and Sara Jane Davis are young now, but they plan to grow old working their land in the North Carolina foothills. Editor’s Note: This story was originally published in October 2016 and updated in March 2018. If ever you’ve lamented the demise of family farms, take a trip to a place called Sunshine and watch a pair of towheaded brothers tromp through a field, grabbing pea shoots for a snack. Will is 4 and Alder is 6, and both are learning all about edible plants and what it takes to put a healthy meal on the dinner table. On this fall afternoon, the sky is stunningly blue, without so much as a jetliner’s contrail, and the hardwoods are shedding their russet leaves. 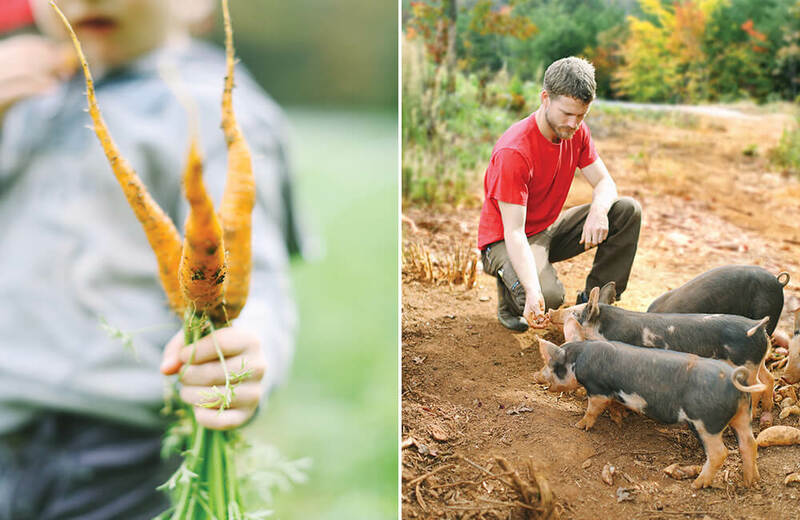 Farming is a way of life for Will and Alder and their parents, Jamie and Sara Jane Davis, so in a nod to simplicity, they call their homeplace A Way of Life Farm. 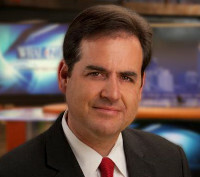 It’s a little ways north of the town of Bostic in Rutherford County, which is the official address, but the area is popularly known as the Sunshine community. It’s more foothills than mountains, but go behind the farmhouse and hoof it up the hill, where the pigs root, snort, and squelch in the mud, and the western horizon swells with crests and peaks. It’s fashionable to think young people are device-driven and dirt-deprived. A lot of kids these days don’t grow up on the farm and, generally, don’t give much thought to how the peas ended up in cans on Aisle 5. For the past 30 to 40 years, agriculture has endured a drought of young people interested in the sow-and-reap lifestyle. But millennials — that demographic born in the digital age — have, for all their tech-mindedness, a certain get-back-to-the-earth sensibility. 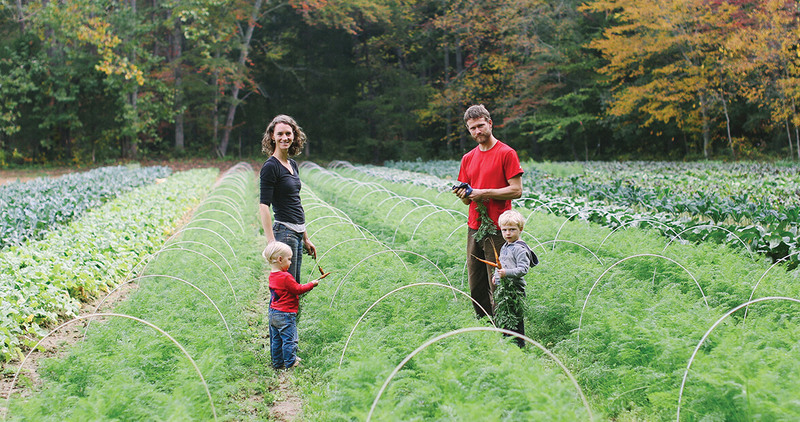 They dig organic and buy local, which helps boost the cool quotient of the small family farm. Jamie, now 36 (officially making him a millennial), met Sara Jane just before their freshman year at Oberlin College in Ohio. Jamie studied classical music history and theory — hardly a prerequisite for driving a Massey Ferguson tractor. “My backup plan if farming didn’t work out was to be a rock star,” he says. But what on earth got him into tilling the earth? “She did,” he says, looking at Sara Jane. His wife grew up outside New Orleans and spent late summers with her grandfather, a man passionate about gardening. “That was a big influence on me,” she says. She earned a degree in environmental studies with a focus on sustainable agriculture. Jamie was raised in neighboring Polk County, so when the two college grads were looking to start a farm together, they did their research and found that northeastern Rutherford County would be the optimal place: close to family, close to mountains, good soil, good temperatures, pretty scenery. They started A Way of Life Farm in January of 2009. Their spread is 42 acres, with two and a half acres dedicated to growing somewhere between 30 and 40 varieties of vegetables. Jamie, wearing mud-spattered rubber boots and dirt-smudged beige pants, walks down to a low-lying field along Hunting Creek, flanked by thickets of pawpaw trees. In the slanting light of late afternoon, the verdant rows are radiant: carrots and cabbage, Swiss chard and celery, ginger and kale. Step inside one of the long, tubular greenhouses and you’ll see some of the reddest, plumpest bell peppers anywhere. Jamie and Sara Jane sell their bounty at farmers markets in Charlotte and Asheville. They don’t sell all of it, though. “We eat the best food you could ever eat,” Sara Jane says. As for the hogs on the hill, the Davises nourish them on organic feed — peas, flax, fish meal, and no soy protein — until they’re big enough to send to a slaughterhouse. This hill, which was clear-cut of timber and “looked like a high desert,” as Jamie recalls, is transforming into a pasture accented with fruit and nut trees. Standing here, surveying his family’s footprint on these foothills, Jamie sees a place brimming with life — its harvest enriched not by technology, but by nature. A Way of Life Farm sells vegetables and pork on Saturday mornings at the Charlotte Regional Farmers Market, and at Asheville’s River Arts District Farmers Market on Wednesdays from 2 to 6 p.m., April through November. For more information, vist awayoflifefarm.com.